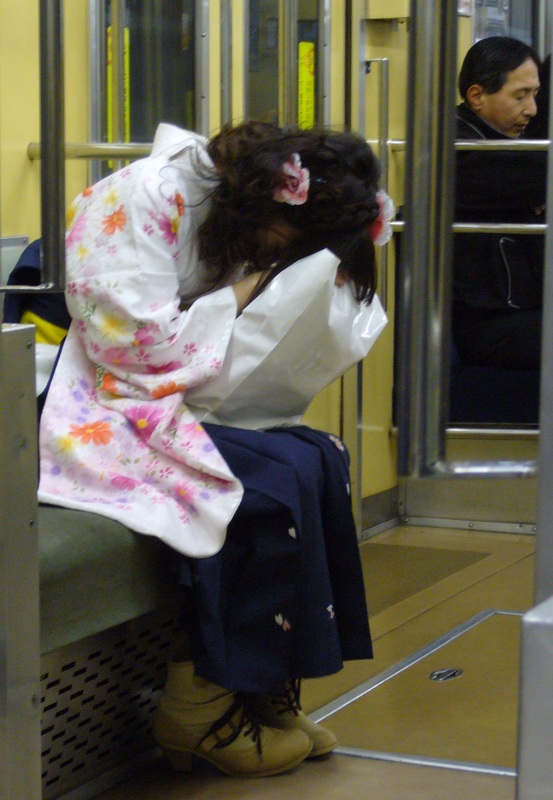 This entry was posted in Culture, Fashion, Japan and tagged Ceremonies, Clothing, Hakama, Kimono, People watching, Rituals, School, Train by Haruko-chan. Bookmark the permalink. Why is she wearing those shoes?! I have no idea. They also struck me as strange. Would it be for fashion or comfort? It can’t be that that’s the only pair she ownes. So my guess is fashion. Me too! 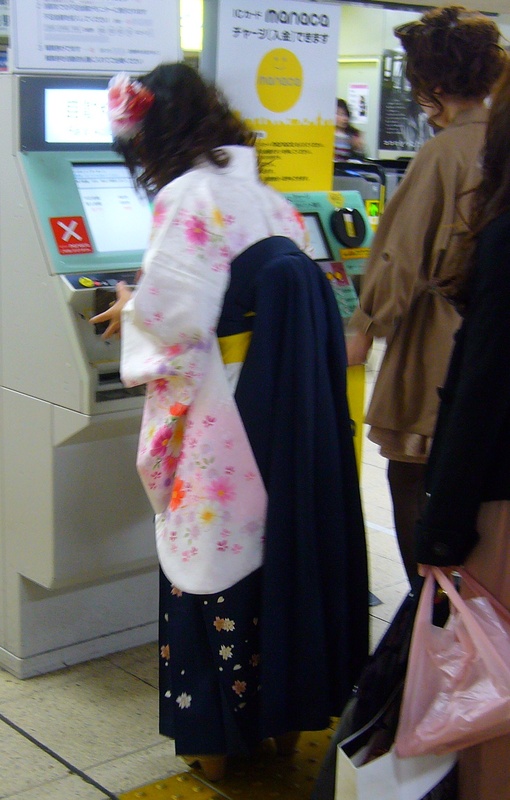 I like to see these girls in Hakama in this season!